I hope everyone had a wonderful Easter holiday! I am slowly getting back into sewing again after a couple of weeks on holiday, including a fabulous vacation to Seoul and Singapore. I wanted to share with you the Flower Sugar Pouches I made for Easter. These are a fun little project and can be made in next to no time at all. When you gather the drawstring, they look like little flowers, and are perfectly sized to hold some mini Easter eggs or small gift/treat. Our tutorial for the Fabric Gift Pouch is one of our most popular tutorials. You can find our original tutorial here and an updated tutorial here. There are lots of step by step photos and instructions. This is a beginner friendly project. Made from two, 8 1/2 inches squares of quilting cotton, – they are constructed in under 30 minutes. I love the combination of pink and yellow, and combined my favourite prints from the Flower Sugar Very Berry Cherry collection by Lecien Fabrics which will be available in Fall 2017. For the drawstring, I used Chinese Knotting Cord that I purchased from Purl Soho. Flower Sugar Very Berry Cherry is the latest Flower Sugar collection by Lecien Fabrics and will be available in Fall 2017. This range features strawberries, cherries, polka dots, and florals, in pretty shades of pink, yellow, red, aqua, and blue. 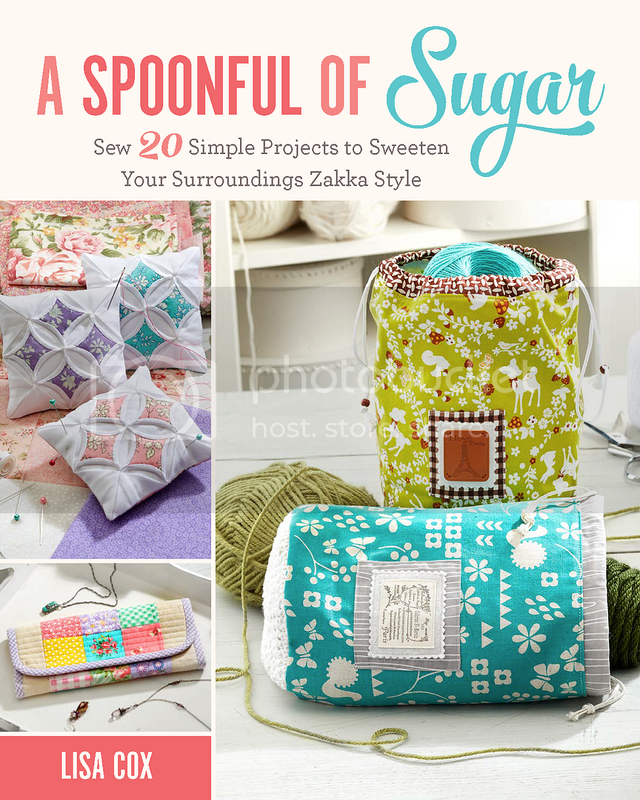 What I love about Flower Sugar is that all the different collections, work together so well. You can find Flower Sugar fabric at Country Clothesline, Ministry of Fabric, and Sew Stitching Happy. Too cute! What a fun project for a sweet gift bag. May Day is soon and so is Mother’s Day here in the US. I can think of a few good uses for this delightful little bag. Thanks Judy – they would be perfect for Mother’s Day. Oh these are so so pretty! A nice but quite boring little gift like soap or sweets would be transformed into something very special to receive. And what about filling with a Lavender sachet for a drawer. Love them! Can I just say that your photographs completely take my breath away! Just beautiful, each and every one! You do an amazing job styling it all perfectly!